Find the right tour for you through Moyo Island. We've got 7 tours going to Moyo Island, starting from just 4 days in length, and the longest tour is 18 days. The most popular month to go is June, which has the most number of tour departures. "Travelled on this trip last year when it was first starting off. Bali is such a beautiful..."
"Where to start? 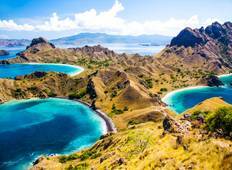 This review could be turned into a piece of award winning writing..."
"Great trip to see the Komodo dragons on both Komodo and Rinca Islands. I was also..."
"TruTravels exceeded my expectations of Indonesia! 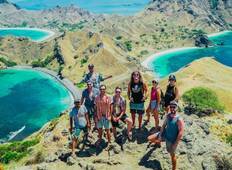 Itchy was an amazing group leader..."
"Just returned from the 7N/6D Komodo Expedition booked through STA Travel via Bamba...."